They were introduced by Alexa Chung (MTV’s It’s On With Alexa Chung) who once dated another Glastonbury favorite, Alex Turner of Arctic Monkeys. 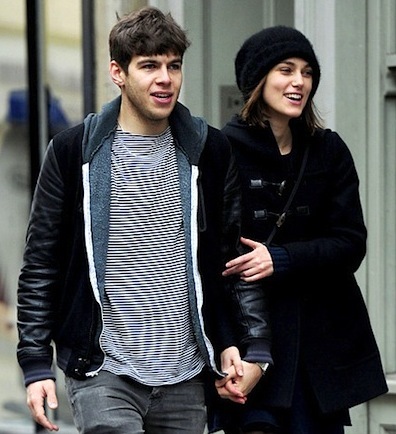 27 year-old Knightley and 28 year-old James Righton have been together for 15 months and live together in East London. This is the first marriage for both parties.